What are the best cat food brands on the market today? With so many options available, it pays to be informed. Let’s cut through the confusion and learn what makes a great cat food, what defines an excellent cat food brand, and check out the top 5 best cat food brands on the market today. 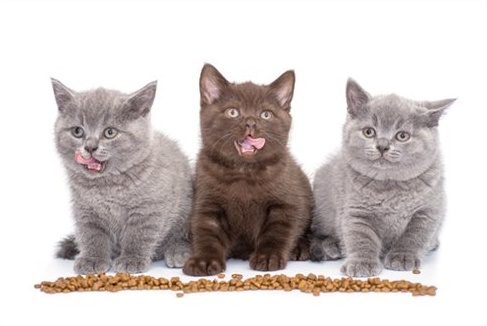 How did you select the top 5 best cat food brands? Here are four key quality indicators used to select the top five best brands on the market. Food Quality – Every brand on the list satisfies the nutritional requirements outlined below. Recall History – The brands on the list have either never been recalled or had a small number of well-handled recalls. Sourcing and Transparency – Every chosen brand appears to source ingredients from reputable suppliers. Customer Satisfaction – All of the brands on the list of the top 10 best cat food brands have reputations for encouraging cat and human happiness. Let’s go in-depth to find out what a great cat food brand really looks like. What are the qualities of healthy cat food? Great cat food recognizes the importance of meat. For an obligate carnivore, meat isn’t a single component of a varied diet. It’s a biological necessity. Obligate carnivores cannot survive without the nutrients found in fresh meat. From lions to ocelots to domestic shorthairs, all cats are obligate carnivores. Other animals classified as obligate carnivores are dolphins, sea lions, ferrets, and mink. How do you know that cats are obligate carnivores? After thousands of years of getting necessary amino acids and vitamins through fresh meat, cats have lost the ability to produce these life-giving nutrients in their own bodies. While omnivores can produce them on their own, cats get these nutrients by eating meat. You can also see it by looking at the feline digestive tract. Like other carnivorous animals, cats have short digestive tracts that aren’t good at digesting carbohydrates. Yes, cats are capable of digesting some plant matter. In the wild, cats would consume plant matter found in the GI tracts of their animal prey. They also naturally nibble on grass. Aside from these tiny amounts of plant content – which don’t exceed 10% of a cat’s diet, a natural feline diet doesn’t contain fruits and vegetables. Particularly alien to a biologically correct diet are high-glycemic ingredients like grains and potatoes. Some cat food manufacturers inflate protein content by packing the food with indigestible plant protein. Cats need hearty doses of protein, but nourishing, digestible protein is expensive. For cat food manufacturers focused on the bottom line, plant protein is a cheap way to pump up protein percentages. To reach protein targets in the absence of adequate concentrations of biologically appropriate animal protein, the manufacturer has opted to pack the recipe with low-cost plant protein. Corn gluten meal is 65% crude protein and is a commonly used low-cost animal feed. Soybean meal is another protein-rich ingredient commonly used as animal feed. Conventional soybean meal is 43-44% crude protein. Again, cats require large amounts of protein, but not all protein is equally nourishing. It’s key to find food made with highly-digestible protein. A cat food packed with plant protein is less digestible and less nutritious than one made with highly-digestible animal protein. The best cat food brands include real meat as the first ingredient. The inclusion of chickpeas isn’t ideal, but it’s better as a minor inclusion in a meat-based recipe than part of a predominating theme of vegetable matter. 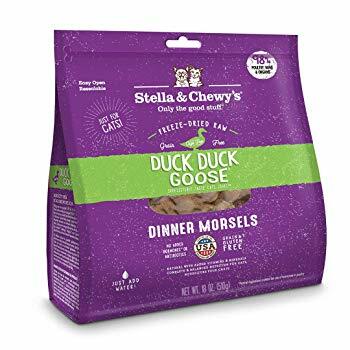 Notice that this ingredient list contains real animal titles like “rabbit meat”, while the previous formula referred to such vague substances as “meat and bone meal”. Look for ingredient lists that start with words like “beef”, “chicken fat”, “duck”, “herring,” and “lamb liver”. Ingredients like “poultry”, “animal fat”, “animal by-products”, and “meat meal” could consist of an appalling range of ingredients. Byproducts aren’t all bad – they contain nourishing ingredients like organs and cartilage. The problem with byproducts is that we don’t know what’s in them. We don’t know how digestible they are. And we don’t know what types of animals contributed to the byproduct slurry. Animal by-products could be beef or they could be the pork your cat is allergic to. The best cat food brands don’t include any dangerous or risky ingredients. One artificial color commonly used in cat food is caramel color. This artificial coloring may contain 4-Methylimidazole, a chemical used to make drugs that increase lung cancer in mice. Even if you weren’t aware of the dangers of caramel color, you probably know about the risks surrounding several other food dyes. Controversial dyes include Yellow 5, Yellow 6, and Red 40. These artificial colors are linked to cancer and behavioral problems in humans and animals. Many cat foods are treated with preservatives like Ethoxyquin, BHA, and BHT. These chemicals are connected to organ disease, cancer, and skin problems. It’s easy to find products that aren’t treated with BHA and BHT. Vitamin E is an effective and safe alternative. Ethoxyquin, however, is a challenging bullet to dodge. While it’s an uncommon pet food preservative, it’s a popular preservative for fish meals. When those fish meals enter your cat’s food, the ethoxyquin is still there, but indirectly added ethoxyquin doesn’t make it onto the label. This is why transparency is crucial. The best brands monitor every part of the supply chain and tell customers about the origins of the ingredients. This natural seaweed-derived ingredient is often used in moist cat foods as a thickener and binding agent. It’s under scrutiny for its inflammatory effects, however, and numerous studies demonstrate links between carrageenan consumption and health problems. The potential health effects of carrageenan are diverse and include such serious issues as fetal toxicity, ulcerative colitis, immune suppression, and cancer. Other studies oppose these findings, leaving carrageenan a continually controversial ingredient. Until we’ve seen any conclusive evidence to the contrary, it’s a good idea to regard carrageenan as a risky ingredient. The best cat food brands offer moisture-rich food. You’ve heard it before. Cats have low thirst drives, meaning that it’s easy for them to under-hydrate. In your cat’s ancestral environment, desert cats might get most of their water from their prey. A freshly-killed animal is a veritable water balloon, made of about 70% water. Compare that to your cat’s moisture-devoid dry kibble. Diets and lifestyles have changed, but your cat’s disinclination to drink water from a bowl hasn’t. Cats on dry diets may become chronically dehydrated, leading to serious conditions like feline lower urinary tract disease and kidney failure. Homemade raw food, Commercial raw food canned food, moist food in a pouch, and rehydrated freeze-dried food are moisture-rich choices that help keep your cat hydrated and healthy. Recalls aren’t always indicative of a bad brand, but bad recalls always come from bad brands. How a brand responds to a recall is one of the greatest indicators of its integrity. The worst recalls are ones that happen after cats have already gotten sick. The situation becomes worse when companies start attempting to disguise the truth about what went wrong. Any lack of transparency or hint of deception in the aftermath is a dirty red flag. But a recall can be a cat food brand’s best opportunity to show its strength. When something small goes wrong and the brand immediately issues a recall before it creates a problem, it’s a sign of integrity. Repeated recalls, deception, and errors that had serious health consequences are all indicative of a dangerous brand. A brand that has a recall every five years isn’t one that you want to gamble your cat’s life on. You should know where your cat’s food comes from. If the company isn’t upfront about sourcing, you don’t know what you’re getting. Some companies may obtain ingredients from loosely-regulated countries with a poor reputation for food safety (we’re looking at you, China). They may use meat that’s beyond subpar – think non-slaughtered animals that could carry disease or euthanasia drugs. The best cat food brands are open about sourcing and are happy to share information on where their ingredients come from. A good brand makes its customers happy. The best brands are surrounded by loyal customers who have nothing but good things to say about the food and the company behind it. 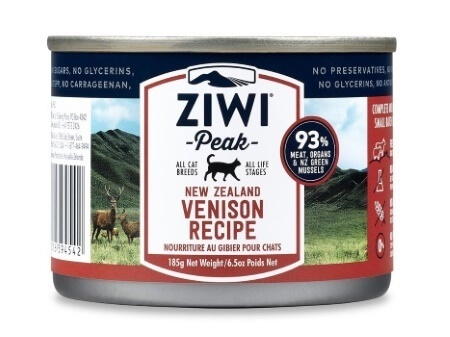 Ziwi Peak is a New Zealand pet food brand that manufactures biologically-appropriate, meat-based foods from only the finest local ingredients. 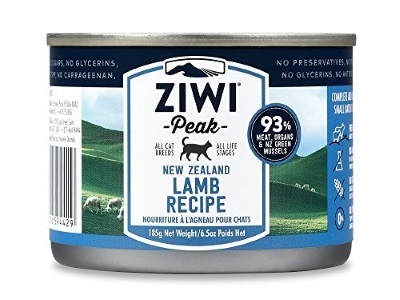 Ziwi Peak foods are made with a level of integrity that exceeds even stringent New Zealand regulations. 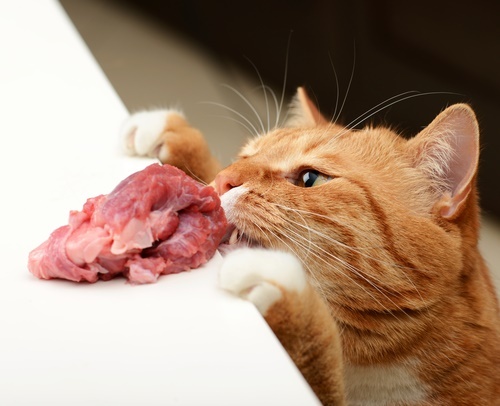 These meat-based foods honor your cat’s carnivorous nature. All of their foods are free from GMOs and don’t contain any artificial colors, flavors, or preservatives. They’re also free of controversial carrageenan. Ziwi Peak foods are more expensive than most. The brand has never been recalled. The recipe centers around lamb meat, organs, and bones with added green-lipped mussels for natural glucosamine and chondroitin. It also contains traces of nutrient-rich dried kelp, plus vitamins and minerals. The product does contain chickpeas, which aren’t a natural part of an obligate carnivore’s diet. But when you consider that each can contains 93% meat, it’s easy to forgive this inclusion. 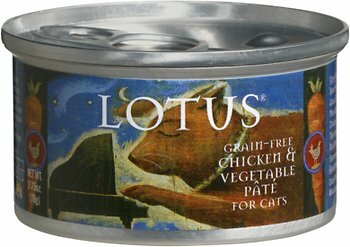 The canned food is moisture-rich, honors your cat’s natural dietary needs, and is easy to feed. Stella & Chewy’s makes raw feeding simple. It provides raw meals in a variety of easy-to-feed formats, including raw-coated kibble, frozen raw, freeze dried patties, and meal mixers. All of the ingredients are sourced from trusted suppliers from Europe, New Zealand, and North America. None of them come from China. Stella & Chewy’s was recalled twice in 2015. Both of these recalls were voluntary and were related to potential exposure to Listeria-contaminated food. This food makes feeding your cat raw both safe and convenient. It’s freeze-dried to destroy pathogens, so it’s safe and simple to serve. The recipe revolves around poultry, organs, and bone, plus organic fruits and vegetables. Every ingredient is sustainably sourced. All of the plant ingredients are low-glycemic and selected for their nutritional value, so they’re an acceptable addition to a commercial food. The food is enhanced with probiotics to keep your cat’s immune and digestive system healthy. It’s free of artificial colors, flavors, and preservatives. It’s made in the USA in Stella and Chewy’s own kitchen. To make sure that your cat gets the moisture they need, mix ½ cup of warm water for every cup of this freeze-dried food. This helps to improve the flavor and texture of the food while ensuring that your cat stays hydrated and healthy. 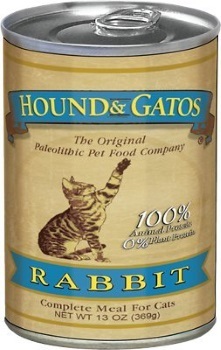 Hound & Gatos calls itself The Original Paleolithic Pet Food Company™. The brand offers minimalistic meat-based foods inspired by pets’ natural dietary needs. The brand was one of TruthAboutPetFood.com’s “Most Trusted Pet Foods” in 2014, 2015, 2016, and 2017. Their products are some of the simplest on the market. They typically include one source of animal protein, fortified with supplements and free from artificial ingredients. Hound & Gatos is committed to never using carrageenan in any of their recipes. All Hound & Gatos foods are made in South Dakota. 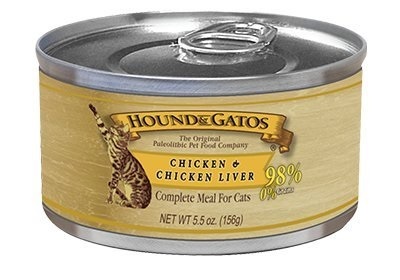 Hound & Gatos has never been recalled. 100% of the protein in this recipe comes from animal sources, making this a biologically appropriate choice for your cat. It contains exclusively real meat and no byproducts. To compensate for nutrients lost through heat processing, the food is fortified with added vitamins and minerals. Besides being free from added carbohydrates, the food is free from artificial colors, flavors, and preservatives. 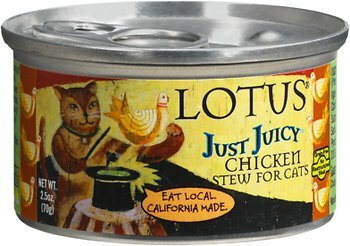 North American ingredients guide Lotus’s simple cat food recipes. All ingredients come from the United States and Canada, except for green-lipped mussels and lamb from the seas and ranches of New Zealand. Their dry foods are baked in a Canadian bakery, while the company’s California micro-cannery creates small batches of canned food. None of their recipes include artificial colors, flavors, or preservatives. This brand has never been recalled. This juicy chicken stew is made with human-grade chicken, thickened broth, and a small amount of carrots. The food is filler-free and centers around nourishing animal protein. It’s a good choice for those who want to feed their cat a simple cooked food that isn’t packed with unnecessary ingredients. The food is fortified with vitamins & minerals, plus omega fatty acids to support a healthy skin and coat. Each can is hand-packed in California. Wysong was founded in 1979 by a veterinarian determined to create better pet food. Dr. Wysong and the company’s staff of pet doctorate professionals designed food with pets’ dietary needs and optimal health in mind. Their foods tend to be on the complex side, using a range of nutraceuticals and supplements to support overall health. 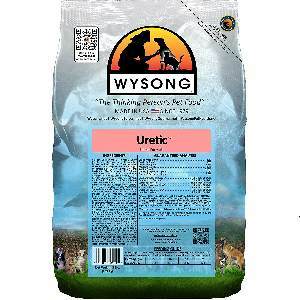 Wysong dog food was voluntarily recalled in 2009. The recall was due to concerns about excessive moisture that put the food at risk for mold growth. 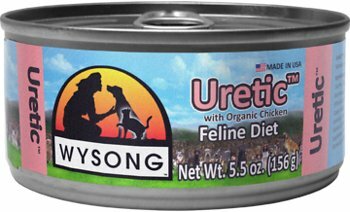 This food was designed for cats with urinary tract issues. Besides simply offering the moisture your cat requires, the recipe includes nutraceuticals that target urinary tract and immune system health. It’s made in the USA and designed by a veterinarian. The most evident problem is the inclusion of rice. Brown or white, rice doesn’t offer much nutritional value for cats. And then it’s expensive. Depending on how many cats you have and how much each one consumes, this food will cost you at least $2 a day, making it more expensive than many homemade or raw diets. No single brand is right for every cat. Like picky or eccentric humans, some cats act in defiance of our ideas about feline preferences. Fortunately, you have options, so it’s easy to experiment with different foods and find out which one works for your cat. After a little experimentation, you’ll land on a food that helps your cat feel both healthy and happy. Visit our guide to the best cat food. Secondly, you may want to consider consulting your veterinarian. 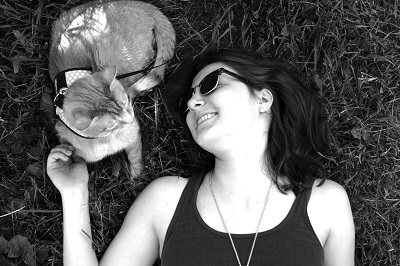 Particularly if your cat suffers from health issues, a veterinarian’s advice could help you to make the right choice. Remember that cats are sensitive to change. Gradually incorporate new foods into your cat’s old diet. You’re right—agar-agar, like other binders, gums, and emulsifiers, isn’t an essential additive in any cat food. These ingredients are added for texture and appearance. There’s not a cat in the world who physically requires agar-agar. So yes, you could call it a filler, but it’s not necessarily harmful. Though agar-agar is drawn from red algae, it certainly doesn’t share carrageenan’s connection to inflammation. While adverse effects may surface in the future, it currently appears that agar-agar is entirely safe. The only potential side effects are a slight laxative effect and the feeling of fullness you mentioned, neither of which are harmful. 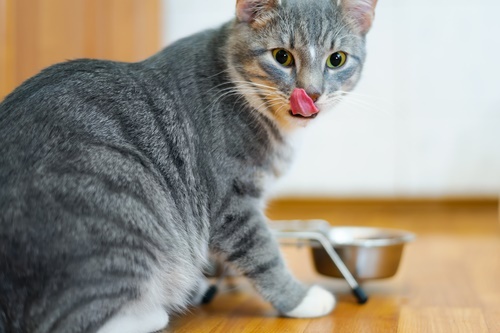 It sounds like you’re serious about avoiding fillers and maintaining control over your cat’s food, so you may opt for a homemade diet. 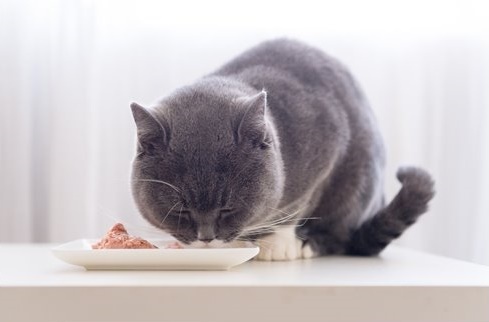 Making your own cat food allows you to exert almost complete control over what goes into your cat’s body—no need to compromise.